Santa Claus arrived at the station using the fire pole. 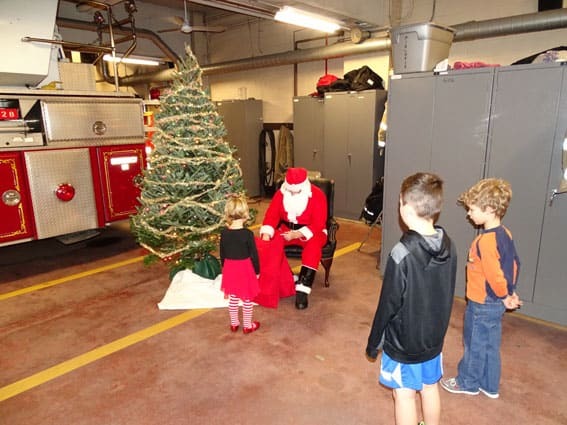 Family members of the Rutland City Fire Department attended a Christmas Party at the Fire Station on the evening of Dec. 19, 2015. Santa was a guest of honor delighting the children in attendance, especially with his impressive entrance — a slide down the firemen’s pole! The on duty crew was joined by off duty members and their families. Jennifer Jones, Karen DellVeneri and Donna Caggige generously cooked for the occasion.